Make it three in a row for the Bruin baseball after another victory in their annual spring break tournament in Panama City, Florida. This time Bartlesville defeated Knoxville Catholic, 4-2 to move itself to a perfect 3-0 on the week. Sophomore hurler Jakob Hall dominated on the mound as he went the full seven innings while allowing two runs on two hits. Hall added seven punch-outs as well to earn his first win of the spring. The right-hander needed just 93 pitches in the complete game effort. The Bruins put two runs on the board in the third inning thanks to some small ball with a run scoring on an error and the other on a squeeze bunt. 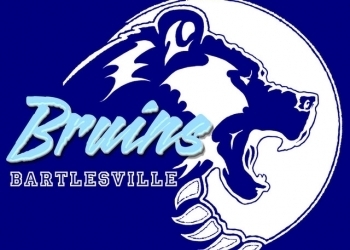 Bartlesville’s other two runs would also score as a result of two separate errors by Knoxville. KWON Intern Calvin Johnson went 2-for-3 at the plate to lead the charge. Johnson was the only Bruin with multiple hits. BHS will now play White House-Heritage at 1 p.m. on Thursday.